Mark Victor Hansen, author of the best-selling "Chicken Soup for the Soul" series, said: "Leil teaches you how to talk and communicate with heart and soul that will get results NOW." Have you ever admired those successful people who seem to "have it all?" You see them chatting confidently at business meetings, and comfortably at social parties. They're the ones with the best jobs, the nicest spouses, the finest friends, the biggest bank accounts, the most fashionable zip codes. But wait a minute! A lot of them aren't smarter than you. They're not more educated than you. They're not even better looking! So what is it? (Some people suspect they inherited it. Others say they married it, or were just plain lucky. Tell them to think again.) What it boils down to is their more skillful way of dealing with fellow human beings. This book – which has been on the top of best-seller books around the world – gives you the tools to become a Master Communicator in life, love, and business. Master "small talk," then quickly turn it into meaningful communicating. Sound like an insider in any crowd — no matter how little you have in common. Never be stuck for something interesting to say again. Learn how to always look confident, credible and charismatic. Discover ways to talk so people listen — and listen so people talk. Turn social situations into professional opportunities. Work a convention or business gathering the way a politician works a room. Discover your most advantageous answer to "What do you do?" 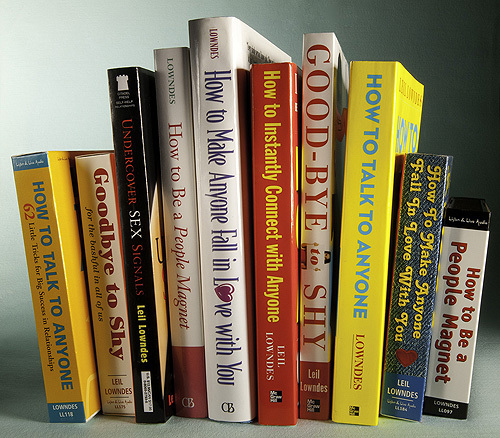 Learn to deal with a wide variety of personalities. Turn the fiercest tigers into pussycats. Pick up on what people are not saying – but they are thinking. Detect when someone is lying to you. Discern if he or she is romantically attracted to you. Practice "The Weekend Method" to become a more fascinating person. A modern version of Dale Carnegie's 1936 classic, How to Win Friends and Influence People. It gives MORE advice and tips than the classic version. There are a whopping 92 in all – that you can use to become the type of person that others admire. The only book you'll need! Each (technique) helps you master a different type of communication. A gray box at the end of each tip has a 2-3 sentence summary with a catchy name for the tip to help you remember it. 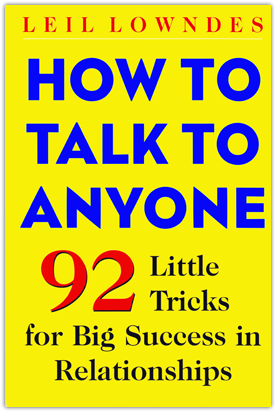 The author's witty, pleasant, and brilliant tips take no time at all to learn with her book!!! Picking up this book was the best thing I ever did for my social life. Even when I'm not using the techniques the author taught me, I can feel confident knowing I have learnt how to talk to people effectively. At the first party I went to after reading the book, I was an instant success. 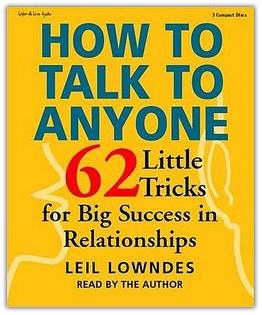 With this book, it IS easy to become a good conversationalist! Whenever you forget how to handle a certain situation, you can go back to the table of contents and look up one of the 92 tips which tells you EXACTLY how to solve the problem/enhance the situation.